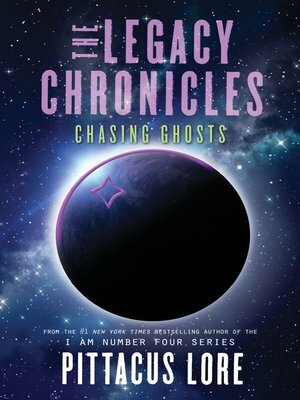 The X-Files meets The X-Men in this digital original companion series that's set in the world of Pittacus Lore's #1 New York Times bestselling I Am Number Four series and its spin-off series, the Lorien Legacies Reborn. This is the fourth 100-page novella, continuing the electrifying story of fan favorite characters Six and Sam. The couple may have decided to leave Peter McKenna's covert organization, but they still have unfinished business. Six and Sam feel responsible for Ghost, one of the young Human Garde they'd met back in New Orleans. They're not sure why the girl turned against them in Mexico, but they are determined to track her down and get some answers. But are they chasing after a friend or a foe? And will they need to rescue her or defeat her? When the group finally makes contact, it seems like they might be able to convince Ghost to come back to the Academy. That is until their plans go up in flames, forcing Six and Sam to jump into action. Without any backup from McKenna or the HGA. Without their Legacies fully returned. And without a clue as to who their real enemy is.